"Stay sharp. These guys will kill for what they're after." 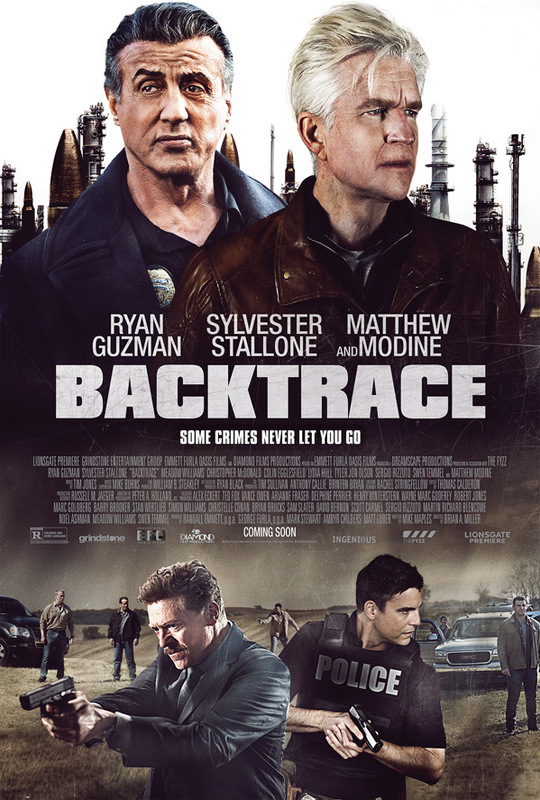 Lionsgate Premiere has debuted an official trailer for an action crime thriller titled Backtrace, starring Sylvester Stallone as a detective. This cops & robbers flick is about an amnesiac criminal, played by Matthew Modine, who is the lone surviving thief of a violent armored car robbery. He's given a drug that forces him to relive the life he's forgotten, in order to find the money he hid. The film's full cast includes Ryan Guzman, Meadow Williams, Christopher McDonald, Colin Egglesfield, Lydia Hull, Tyler Jon Olson, Sergio Rizzuto, and Swen Temmel. We've seen so many of these throwaway action movies, and they pretty much all look the same every time. So much screaming and intensity and gunfire in this glimpse. As always, at least the trailer is free to watch. After suffering a brain injury from a bank heist gone wrong, MacDonald (Matthew Modine) develops amnesia and is put into a prison psychiatric ward. Following his seventh year in evaluation, he is coerced by an inmate and a ward doctor (Ryan Guzman & Meadow Williams) to break out of prison and injected with a serum that forces him to relive the life he's forgotten. MacDonald must now elude a local detective (Sylvester Stallone), a toughened FBI agent (Christopher McDonald) and the drug's dangerous side effects in order to recover the stolen money all while confronting his past. Backtrace is directed by American action filmmaker Brian A. Miller, of other feature films including House of the Rising Sun, Officer Down, The Outsider, The Prince, Vice, and Reprisal previously. The screenplay is by Mike Maples. Lionsgate will release Miller's Backtrace in select theaters + on VOD starting December 14th coming up soon. Who's in?